117 Lotteries at the same time! 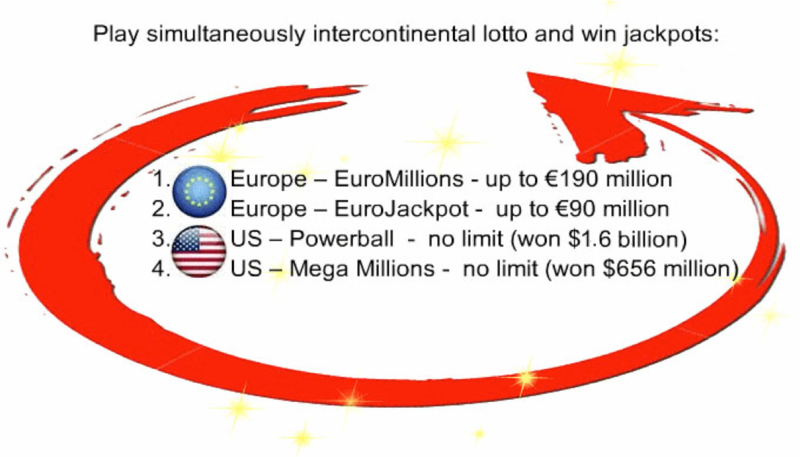 with 7 draws a week with ​500+ million USD / EUR in prizes. When you apply for participation in a syndicated system of lotto game, you become a member of the international nnnCLUB-CGB/Trannn platform for group buying at the same time. Get a part of the pool of 237 line combination chances per week in 4 different lottos which are numbered in the picture at the top. Each pool is divided in 50 Standard stakes or equivalent. 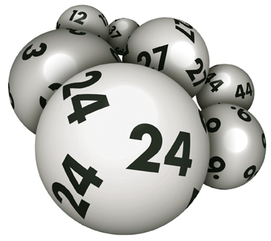 The game is played simultaneously in nnnLotto pools with 5 numbers with the same default combinations allowing a systematic coverage of other numbers, which enormously increases the chances of winning. Every week you will receive a report with the weekly draw results and winnings to your e-mail address. The CGB platform will open your profile for the lotto game. In addition to your subscription to the lotto system, you will be awarded with the amount of your payment which will be placed to your CGB profile. You can finance your future subscription by creating a group or coalition of members, i.e. finding , enrolling and connecting to your profile, all new interested players of lotto or any other game or program of Trannn-CGB. The CGB platform will award you with amounts for all players you have thus connected. For all directly connected with 50% of their entry to the CGB system, for all further enrolled with smaller percentages but growing with their number. Apart from the entries, the platform also awards you for every other later transaction of the members in your group. In this way you can ensure more than enough funds for you future subscription and even something extra. nnnLotto® is unparalleled in the history of games of chance with extraordinarily high odds and increased potential winnings in each game. Recommendation of new players through CGB platform can drastically increase one's winning combination chances effectively transferring the Crème de la Crème Lotto® from domain of pure chance to factual INVESTMENT. All players are anonymous, especially in view of their gains and are considered as closely guarded trade secret.